This is a reading from the Mayan creation myth called the Popol Vuh. 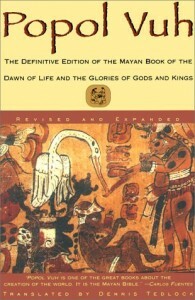 The ancient Mesoamerican civilization based their religion, art, architecture, values system, and many other aspects of their culture on this myth. 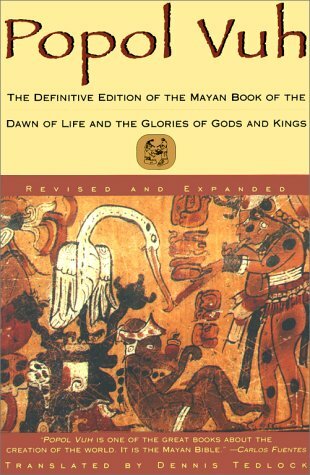 I have studied this culture and a few other Mesoamerican cultures in an anthropology class and find this story the most fascinating. Dennis Tedlock does a wonderful job of preserving the meaning and rhythm of the original Quiche Maya version which makes this translation perfect for performing. This entry was posted on Wednesday, July 21st, 2010 at 6:50 pm	and is filed under Uncategorized. You can follow any responses to this entry through the RSS 2.0 feed. Both comments and pings are currently closed.